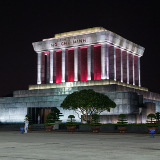 Hanoi is the capital city of Vietnam, boasting a population of over 750,000. More than a millennium old, its long and rich history has shaped it as a destination, and manifests all across the city in its enrapturing array of museums, monuments and temples, which blend with bustling commerce and lush natural beauty. And for a limited time, cheap flights to Hanoi are now available, so seize your chance to take a trip to this Southeast Asian wonder! Hanoi is home to Noi Bai International Airport (HAN), located just over 40 minutes by car from Hanoi’s city centre. 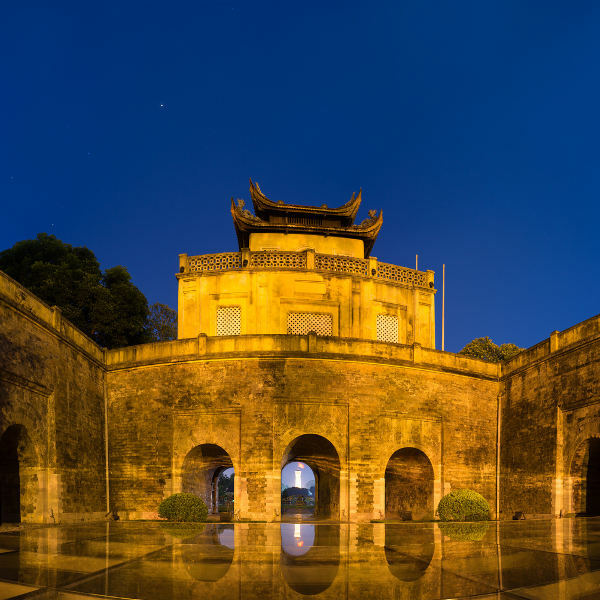 From the centuries-old architecture of the Old Quarter, to the Imperial Citadel that housed generations of royalty, Hanoi’s millennium-long history has been lovingly preserved. 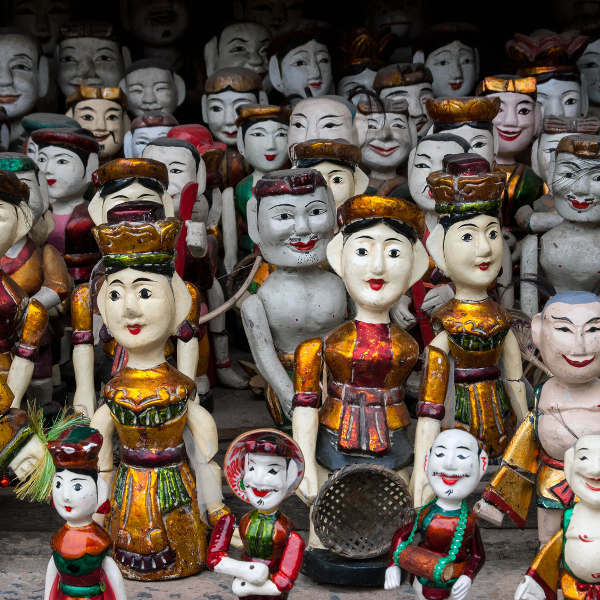 Showcasing everything from prehistoric art, to traditional water puppetry, to 20th century war relics, Hanoi’s museums and theatres play a prominent role in lending the city its distinctive cultural vividness. Even in amidst the urban bustle, such lush havens as Hoan Kiem Lake and Ba Vi National Park provide a richly natural getaway. It may be Southeast Asia, but that doesn’t mean it can’t get chilly. December to February, Vietnam’s winter, generally hovers between 15°C and 20°C, but has been known, on occasion, to drop to as low as 10°C. But assuming you remember to pack a jacket, it’s hardly an unpleasant time to visit the city – you’ll avoid the heavier surge of tourists and, assuming you’re there at the right time, you may well get the chance to witness the colour and vibrancy of the annual Tết Festival, a celebration of the Vietnamese New Year. Should you wish to be in Hanoi during the time of the thinnest crowds and the best accommodation details, June to August (summer) is low season; however, you’ll need to be prepared to face the heat and humidity for which the region is famous. Temperatures around this time generally hover between the upper 20s and lower 30s, and have been known to climb as high as 40°C; while the rain is also its thickest around this time. March to May (spring) and October to early December (mid-autumn to early winter) are when the weather is at its most pleasant; but you’ll need to be ready to navigate your way through hefty crowds of tourists. 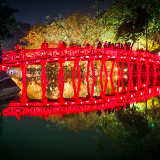 The eclectic city of Hanoi is a fusion of traditional cultures with modern developments. Its sights, sounds, smells and tastes will shake up your senses like never before. Experience the hustle and bustle of locals selling richly-coloured fabrics, aromatic coffee beans and hand-painted pottery. Bargain your way through the lively markets where you’ll be fascinated by the simplicity and crudity of the street life. With strong French and Chinese influences, Hanoi’s enrapturing museums and gorgeous architecture will keep you busy for hours. Key attractions include the Imperial Citadel, Vietnamese Women’s Museum, Ho Chi Minh Mausoleum and the Neo-Gothic St. Joseph’s Cathedral. Wander through centuries of history, reflected upon every street corner. As evening approaches, the Old Quarter lights up as colourful lanterns adorn the streets and rich aromas draw you in to the local eateries. Try local favourites like phở bò (beef noodle soup), nem cua bế (deep-fried crab rolls) and delicious gỏi cuốn (fresh spring rolls) – best washed down with a freshly-made fruit smoothie or draft bia hơi. Duck into the neon-lit karaoke bars for a night of (un)forgettable entertainment. Take a stroll around Hoàn Kiếm Lake, where you can visit the 18th-century Ngọc Sơn Temple and the grand Hanoi Opera House. If you can brace the precarious traffic, zip between the city sights on a scooter, starting at the top of West Lake and snaking your way down through Trấn Quốc Pagoda, exploring the unique gems tucked behind the crumbling walls of hidden alleyways. Escape the frenetic pace of the city by visiting Sapa or Ha Long Bay for a few days’ of tranquility, where picturesque rice paddies and limestone cliffs await. Hanoi is one unapologetic city that bristles with adventure and surprises and, if you can handle the mayhem, you’ll have the time of your life. Compare several airlines, and book your cheap flights to Hanoi online at Travelstart! 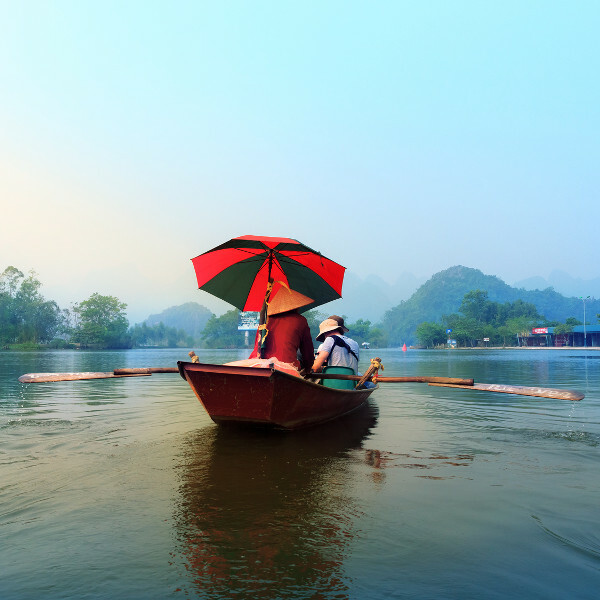 Travellers to Hanoi ensure that all of their routine vaccines are up-to-date, and that, in addition, they ensure that they receive vaccinations against hepatitis A and typhoid, both of which can potentially be spread through contaminated food and water. In addition, travellers with sensitive respiratory systems should be aware that Hanoi’s levels of air pollution are, in some areas, very high, particularly during winter. Tourists to Hanoi, generally speaking, rarely experience serious crime. However, as is the case in any capital, travellers should keep an eye on their valuables, particularly in crowded areas, and be sure to avoid secluded areas after dark. In addition, Hanoi traffic is heavy, and travellers should be greatly cautious when crossing the street. If possible, find a local and stick with them until you reach the other side. As with any trip, picking where to stay in Hanoi has everything to do with what you most want out of your trip. The accommodation establishments in Hanoi’s Old Quarter offer affordable rates in the form of hostels and mid-range hotels, as well as easy access to some of the city’s most enchanting old architecture and its bustling street markets; while down towards Hoan Kiem Lake more luxury accommodation and upmarket shopping can be found. 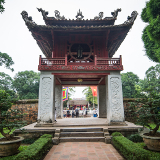 Ba Dinh District, meanwhile, offers easy access to most of the world-famous landmarks that most travellers come to Hanoi to see, though its prices tend to be more middling. Accommodation is widely varied, suited to all tastes and budgets. You can expect to pay between R150 to over R 5000 per night. Travellers in Hanoi have access to a great variety of transportation services; being sure to pick the right ones, however, will likely be a lot easier on your wallet. Taxi cabs can be flagged down on almost any Hanoi street corner, as can motorbike taxis (xe om) and cyclos (foot-powered carts). However, there are few fixed fares for such services, and scams are sadly frequent; travellers would be wise to negotiate a fee before setting out. Taxi cabs at the airport will try to overcharge you, so either organise a pick-up with your hotel or hop in a shuttle, which will drop you in the city centre. Avoid the public buses, as they are not very comfortable and the routes can be rather confusing. Brazen travellers can hire scooters or motorbikes to navigate their way through the city, although this is highly dangerous and completely at your own risk as the traffic is chaotic. Always wear a helmet and do not drive fast. And, of course, should you wish to make your own way through the city, many of its central attractions are quite close enough together to simply make your way on foot – it’s an invigorating experience, and a good way to avoid the traffic.